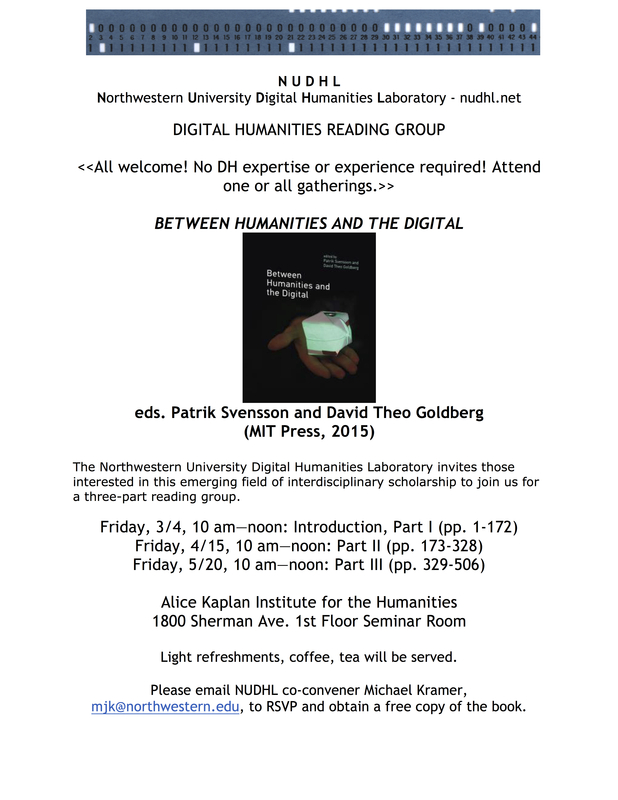 The Northwestern University Digital Humanities Laboratory invites those interested in this emerging field of interdisciplinary scholarship to join us for a three-part reading group. Light refreshments, coffee, tea will be served. 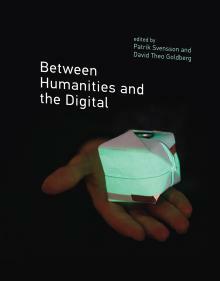 Please email NUDHL co-convener Michael Kramer, mjk@northwestern.edu, to RSVP and obtain a free copy of the book.